Why this beautiful area in the South of France is fast becoming one of the most popular places for Brits to buy a second home. 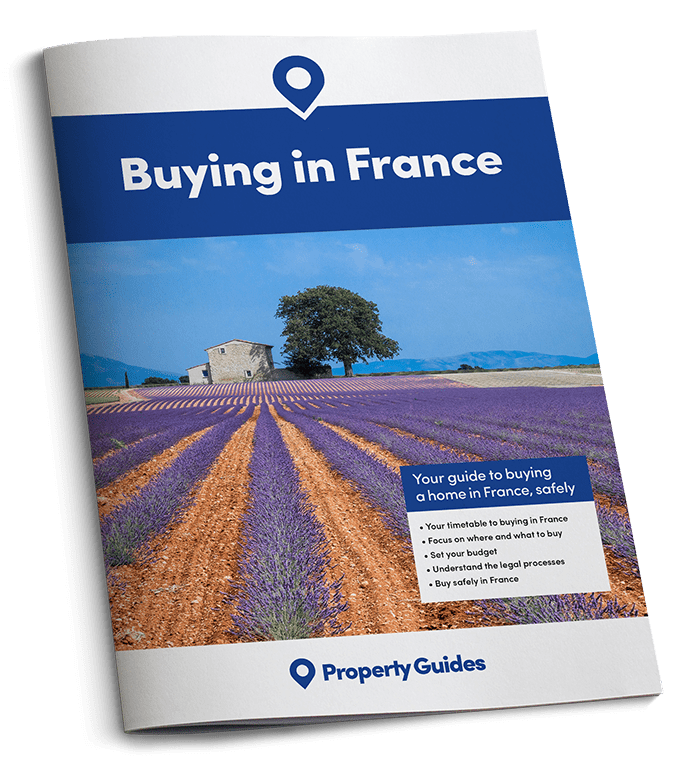 When it comes to deciding where to buy a property in France, you are spoilt for choice! Frome Paris to the Pyrenees you’ll find a diverse landscape containing world-class cities, rolling countryside, Mediterranean beach resorts and mountains. Located in the south of France, the Languedoc-Roussillon – officially renamed Occitanie on 1st January 2016 – offers a tremendous amount to British buyers looking to make the move to France. You’ll be able to bask in the 300 days of sunshine the region is blessed with each year. To start with you’ll be able to bask in the 300 days of sunshine the region is blessed with each year – rarely is there an overcast day, even in winter time. It’s no wonder why so many painters have been drawn to the area down the years. This Mediterranean climate means the seasons almost roll into one warm and sunny dream. Obviously it rains from time to time but you can pretty much guarantee excellent weather between April and October, with long evenings that allow for a largely outdoors lifestyle. There is nothing quite like sipping a cool glass of local wine outside as the sun sets over the hills here – it is quite simply glorious! But there’s more to the Languedoc than just the sunshine. It boasts a rich landscape and a fascinating history. Catharism was a new religion that took root in Europe in the twelfth century, but it was in Languedoc in which it flourished; leaving behind a legacy of fascinating monuments and castles, many of which defy belief. 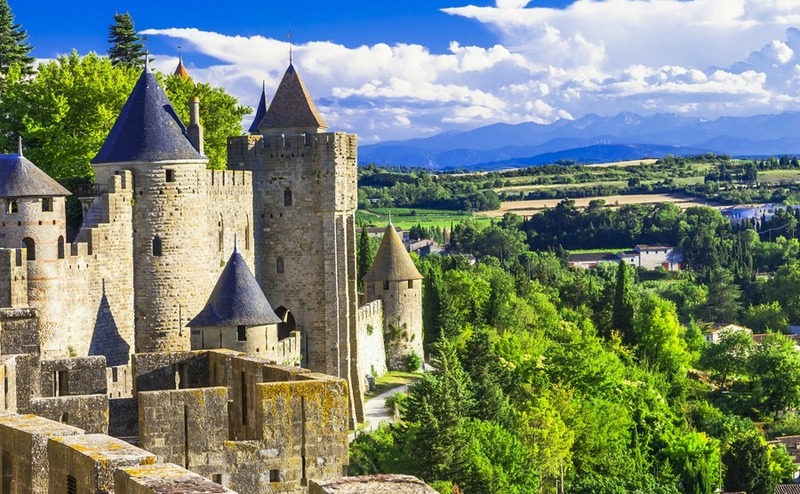 A few, such as Carcassone, have been restored; many others remain as spectacular ruins clinging to the hillside. There is also a wonderful traditional community feel in many villages and towns here. And while it is similar geographically to its neighbour, the Cote d’Azur, property prices are far more reasonable. Many villages are built in the form of circulades, a design that is traditional to the Languedoc-Roussillon region. A series of concentric allows the little streets to radiate out from the parish church or chateau-fort, giving them a unique cosy feel. If you’re in search of miles and miles of sandy beaches, the coastline here won’t let you down. The Languedoc coast is not given to creeks and coves, the beaches are long, flat and sometimes wild. It’s even home to one of Europe’s longest, Espiguette: backed by dunes, lagoons and salty scrubland it stretches for over 6 miles. 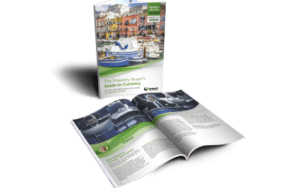 From an investment point of view, buying anywhere close to the coast may drive up the cost, but will always bear dividends and of course rental properties are very popular here. Acting as the eastern most part of the French border with Spain, you can easily hop across for a day out in España. You can even drive to Barcelona in around two hours from the regions southern reaches. A fascinating experience that highlights Languedoc-Roussillon’s Catalan roots. Spain isn’t the only country that borders the region: Andorra is another convenient daytrip or holiday option. There are several airports serving the UK in the Languedoc, with some extremely reasonable prices. Carcassonne, Beziers, Montpellier, Perpignan and Toulouse all have regular flights to and from the UK all year round. And while in Spain, the beautiful city of Girona is close to the border and offers convenient flights with Ryanair. So all the talk is of buying overseas is finally over and you’re actually ready to head out to France for a viewing trip to find your dream home. Find out how to make the most of your visit by downloading our free guide to planning a viewing trip.